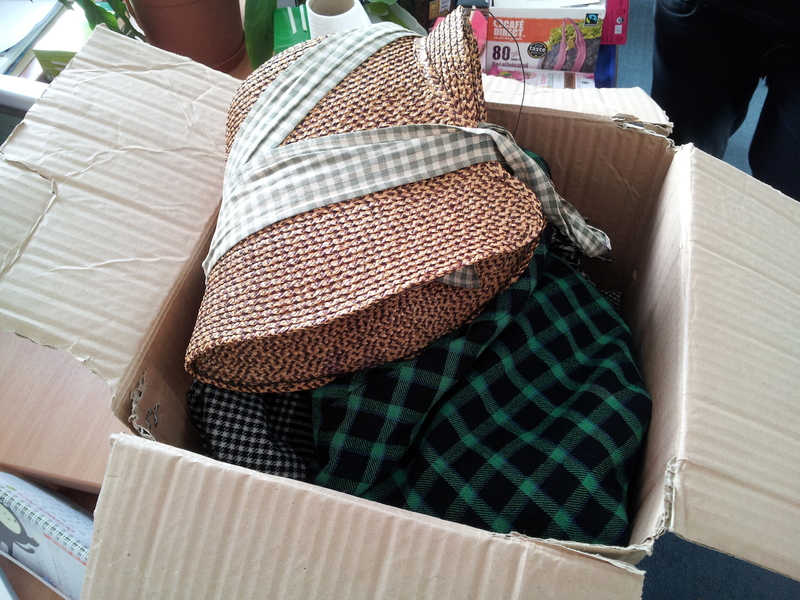 Victorian resources (these were created for St Michael-on-the-Mount Primary School, but contain generic content that can be applied elsewhere). Bedminster is likely to have Saxon origins that pre-date that of Bristol. The Bedminster we see today was shaped by Victorian industries like coal mining, tanning and tobacco and the associated streets of shops and terraced housing. As part of the Ashton Gatehouse project we worked with Ashton Gate Primary School to explore the history of the 1914 International Exhibition (known as the White City) that was located on Ashton Fields to the west of Bedminster. With the outbreak of war the ‘temporary’ buildings of timber and plaster were used to house and train new recruits for the Gloucestershire Regiment. With assistance from local historian and author of Bristol’s Lost City, Clive Burlton, Year 5 pupils from Ashton Gate Primary School visited the Bristol Record Office to research the White City. Working with UWE film undergraduates and digital media expert, Dan Tagg they recreated the 1914 exhibition in Minecraft. Ashton Vale Primary School were also involved in the Ashton Gatehouse learning activities, exploring their local industrial heritage with their parents and grandparents. 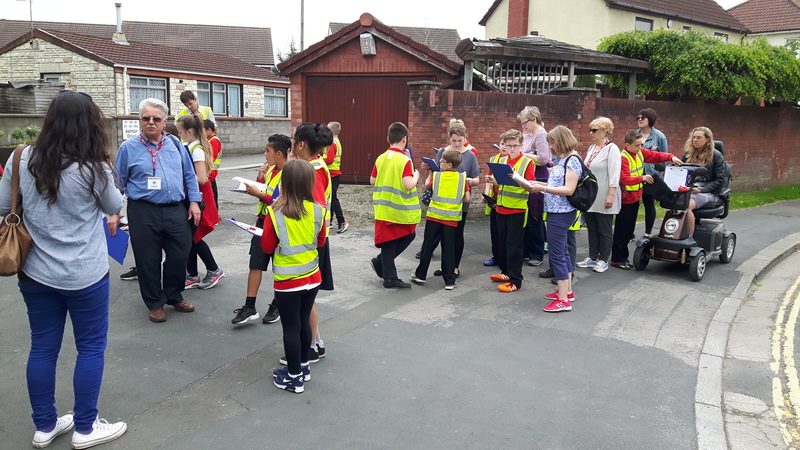 Year 6 used the Our Place approach to assess the route from Ashton Vale to Ashton Gatehouse, addressing issues around signage with architect, Richard Guise. Year 5 collected photographs, letters, artefacts and memories associated with the area from local residents that have helped to enhance the Know Your Place community layer for Ashton Vale. The area of St Philip’s (together with St George) was at the forefront of Bristol’s Industrial Revolution. Much of the Victorian landscape can still be seen today, such as the old soap works buildings on Broad Plain and the stone buildings of the former gas and iron works in the Silverthorne Lane area north of the Feeder Canal. As part of the Heritage Schools initiative, we took pupils from Hannah More Primary to explore the sites of the Victorian industries that employed children from as young as 13. Using an 1862 inspector’s report on working conditions in these factories, the pupils created plays featuring the young people and their employment in St Philip’s at the time. Montpelier originated as a suburb of Bristol in the 18th century with detached villas set on the Ashley Down hillside overlooking the Cutlers Mill Brook. This setting was considered reminiscent of Montpellier in France. As Bristol expanded in the Victorian period, this leafy suburb was infilled by the streets of terraced housing that we see today. In 2016, Local Learning secured funding from Knightstone Housing Association to explore the history of this neighbourhood with the community. Members of the community shared their memories of the area with media producer, Tot Foster providing insights into Albany Green, initial impressions of the area for people arriving here from Jamaica in the 1950s and 60s, the creation of one of Bristol’s first mosques on Lower Cheltenham Place and how it will be missed when it eventually moves to Sevier Street. 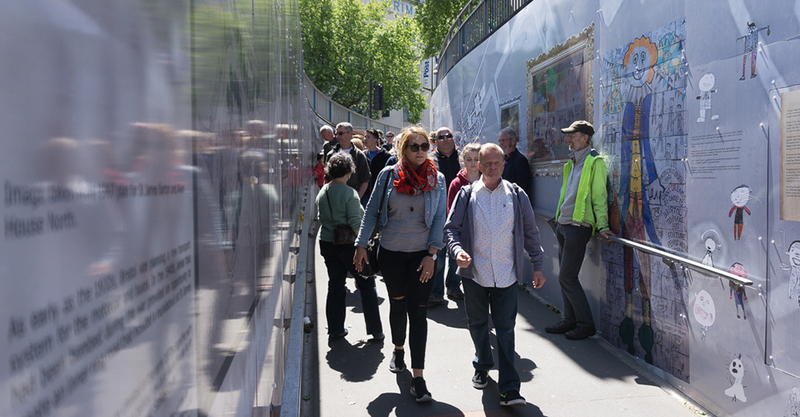 Using research from Bristol Record Office and people’s memories of the area, local residents will create art work conveying the history of the houses near Rosa Parks Lane – of the buildings that still exist today and those that have disappeared a long time ago. 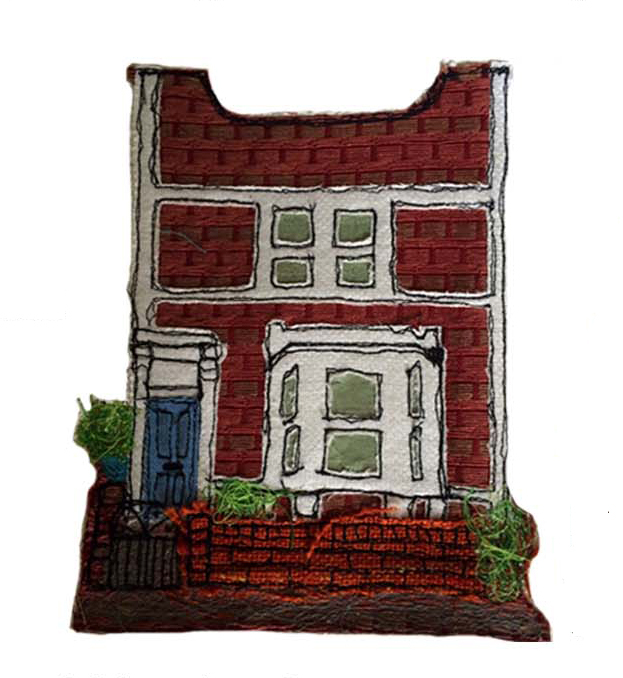 Using textiles, local artist, Carmen Garaghon will be running workshops at St Pauls Learning Centre to help people to produce images that show something about the history of both the inside and outside of their houses. The final pieces have been photographed and printed on to anti graffiti material to go on permanent display on the fences running along the lane alongside similar works that will be produced by pupils from St Barnabas Primary School. In Victorian times, Ashley Down was just fields, set some distance outside the city. It was for this very reason that George Muller chose the top of Ashley Hill for the site of his new, larger orphanage following complaints of rowdiness from neighbours at the Wilson Street orphanage in St Pauls. Muller, a devout Christian, reputedly never directly asked for financial assistance, but believed that any donations were in answer to his prayers and evidence that there was a God. 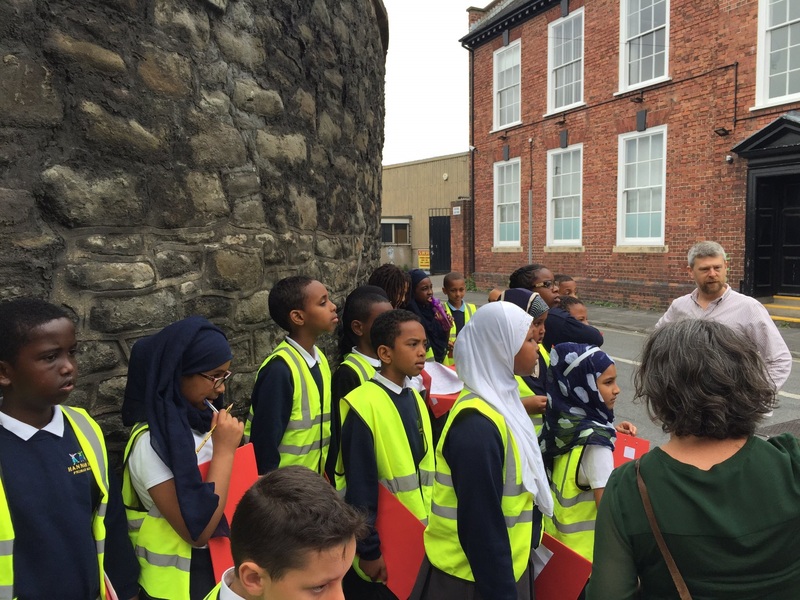 As part of the Heritage Schools initiative, we took pupils from nearby primary schools, Glenfrome and Horfield to explore the site of the orphanage (now part of City of Bristol College). Local Learning helped pupils to identify the building’s numerous original features, and to understand the grim alternatives to life in the orphanage. With the help of a graduate from the University of the West of England, each pupil was provided with a profile from a child who had lived at the orphanage and, assuming that persona, Local Learning helped supported pupils in writing a prayer or persuasive speech to encourage the Victorian middle classes to write a substantial cheque to help subsidise George Muller’s plans. For more than five centuries Ashton Court and the Smyth family who lived there dominated the area of South Bristol. The industrial revolution brought new wealth to the Smyths. By the end of the 1700s, the coal mines on their lands across Bedminster provided a significant addition to the estate’s income. John Hugh Smyth commissioned the famous landscape gardener, Humphry Repton, to redesign the grounds of Ashton Court. John Hugh Smyth died in 1802 and the estate went to his nephew, Hugh Smyth who perhaps did not share the same vision as his uncle. As a result, Repton’s ideas were only partially realised. Repton designed a route to enter the estate via a proposed gatehouse, taking carriages all around the estate, affording visitors tantalising glimpses of the mansion whilst impressing upon the visitors the sheer size of the estate. Esme, the last of the Ashton Court Smyths died in 1946. Ashton Court Estate then became the property of Bristol City Council. Ashton Park School was founded on part of the estate in 1955 as one of the secondary modern alternatives to the grammar system. In 2015 Local Learning were employed by the Bristol Building Preservation Trust to deliver an education activity plan as part of a Heritage Lottery funded project to restore the Ashton Gatehouse; the main entrance to the estate originally proposed by Repton. Local Learning have been working with Ashton Park Secondary School and its partner primary schools to explore the history of the gatehouse. Year 8 students from Ashton Park and members of the public worked with Archeoscan geophys team to identify the extent to which the original driveway from the lodge to the mansion remains beneath the school’s playing fields, Year 9 worked on reproducing a replica Red Book with beautiful detailed watercolour illustrations of Repton’s proposals. Year 10 GCSE drama worked with theatre company, Show of Strength, who specialise in true local stories set in unusual places, to devise a play that delved into history to reveal some of the hidden stories of the area. 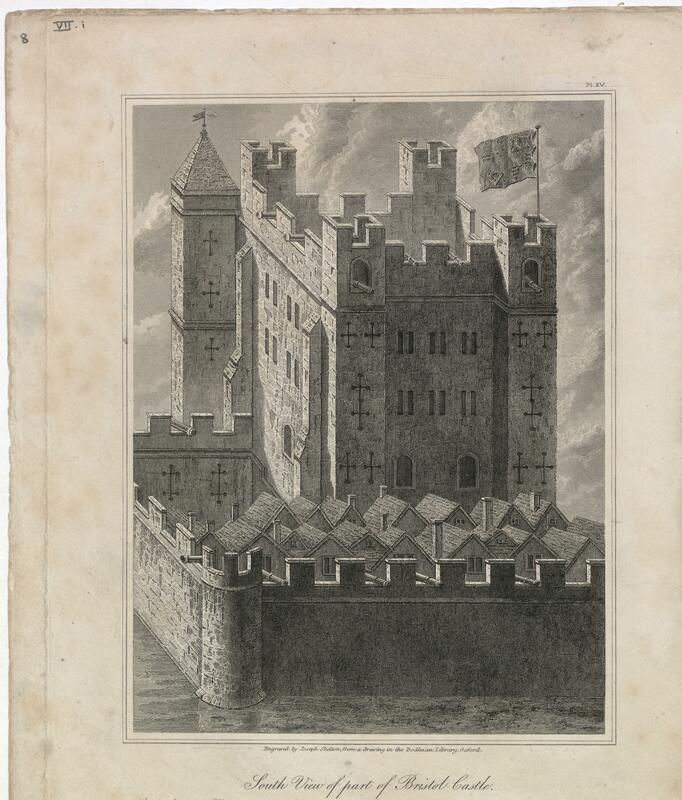 The roaming drama took the audience from Ashton Gatehouse to Ashton Court in what early landscape gardeners might have referred to as ‘peeps and bursts’. Ashton Vale Primary School undertook an Our Place and local memories project to inform a wayfinding signs for the Gatehouse and populate the community layer on Know Your Place. 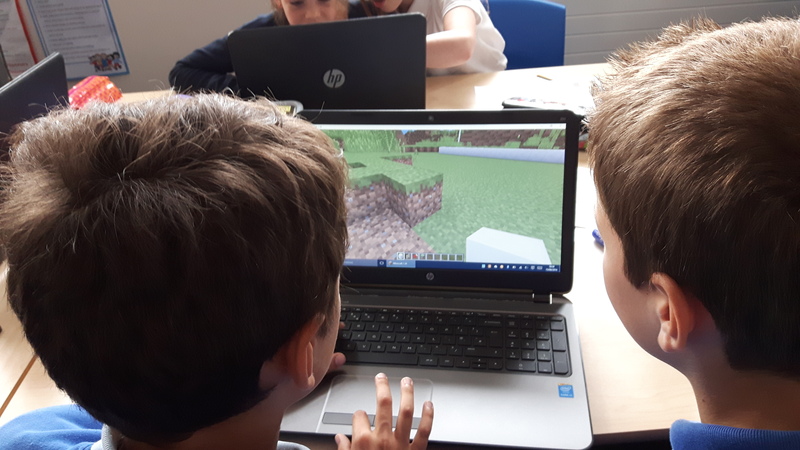 Ashton Gate Primary School explored the Bristol’s International Exhibition of 1914 (locally known as the White City) at Bristol Record Office with local historian Clive Burlton and created their own White City using Minecraft. Castle Park probably has the most varied history of any part of Bristol. The area has been host to a medieval castle, the busiest shopping street in Victorian times, a Second World War bomb site and a gigantic car park while the council made plans for a civic centre and museum before it became the park we see today. 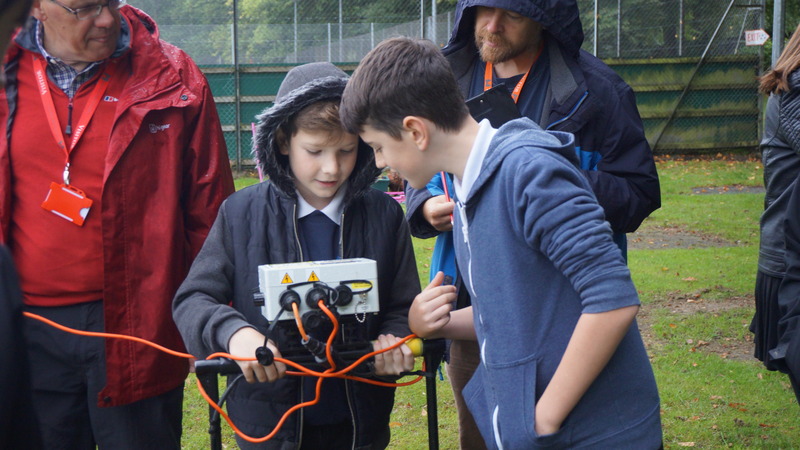 Local Learning have worked with several schools to explore this varied history and ran a Council for British Archaeology funded Archaeology in the Park event in 2007. We involved actors to take audiences through time to the sallyport providing castle courtiers with an escape route, to peer inside the 18th century houses that once stood on Bridge Street and to join the queues for one of the first talkies showing at the Regent Cinema. In 2012, Local Learning collaborated on the Lost Cinemas of Castle Park with the University of the West of England, where members of the public helped to create a series of Top Trump cards depicting the many picture houses that had once existed in this area. Most recently, Bristol City Council have commissioned Local Learning to create new interpretation materials to help tell the story of Castle Park. Eastville Park was one of the earliest and largest of Bristol’s municipal parks; a previously unbuilt on area protected from the relentless urbanisation towards the end of the 1800s. No one then would have believed that it would play such an important role in time of war. During the Second World War, like many parks and green spaces most of Eastville Park became allotments to help keep Bristolians fed as food ran short. Searchlights and a barrage balloon were also set up in the park, along with the big guns on Purdown to help defend the aircraft factories at Filton from enemy bombers. Gunner, Tom Allen from Cottrell Road, local volunteers managing the searchlight, people tending their allotments to supplement their insufficient rations all featured in plays produced by Year 2 students from Glenfrome Primary School as part of a Local Learning Heritage Schools project. 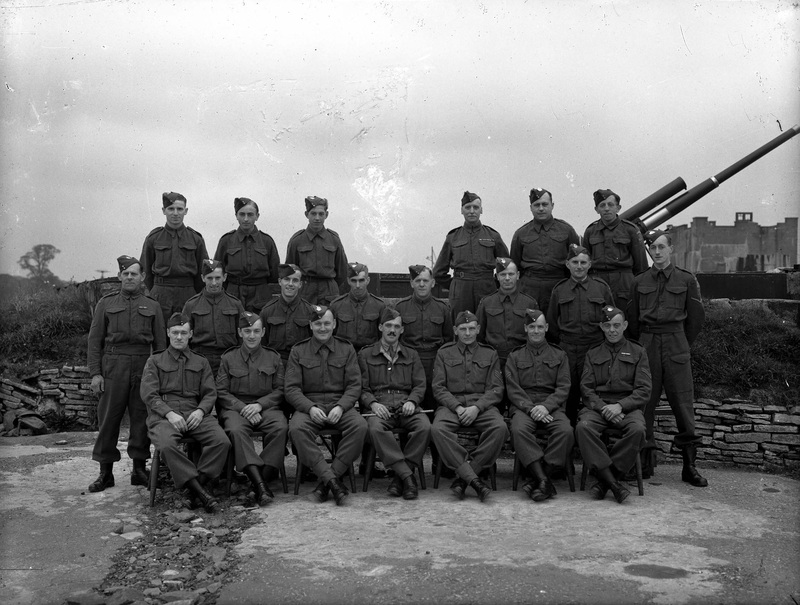 Their research and plays helped to inform an app allowing visitors to the park to better understand the significance of the area in the Second World War. The medieval village of Fishponds was an area rich in pennant sandstone, a popular building material in Bristol. It is widely believed that the flooded quarries, that formed large ponds, lent their name to the area. On the outskirts of Fishponds, a French prison was built (top image) to accommodate soldiers from the Napoleonic Wars. This building later became a workhouse and eventually Blackberry Hill Hospital. A lunatic asylum was built as an extension to the workhouse in 1861. This later became Stapleton Hospital and then Glenside. It is now part of University of the West of England. Given the sensitive nature of much of the history of this area, as part of a Local Learning Heritage Schools event delivered across the whole of Year 7 at Bristol Met, we felt that it was important to first address the language and labels that have been used historically to refer to different members of our society. With reference to primary sources, students learned to appreciate how changing attitudes are reflected in our language and produced a series of plays highlighting these linguistic issues. A birthplace of the Industrial Revolution, home to coalminers and factory workers, St George’s Park was created as a respite from the area’s continuously developing industry and urbanisation. As part of the Heritage Schools Initiative, Local Learning have worked with a number of primary schools exploring the history of the park. Plays exploring working conditions hundreds of feet below the surface in Whitehall Colliery, the highly flammable chemicals that eventually led to a fire in the soap factory, the competition held to find an appropriate design for this green space have all been performed in the park. Stokes Croft is one of the oldest routes in to Bristol. It will have originated as a track between fields certainly by about 1000 years ago if not earlier. By the 1100s it was probably being regularly used by travellers coming to markets in Bristol, particularly St James’s Fair. The route became the boundary of the new parish of St Pauls as the city’s population increased. This invisible line runs right through what is known locally as the Bearpit, indicating the parish boundary between St Pauls and St James. 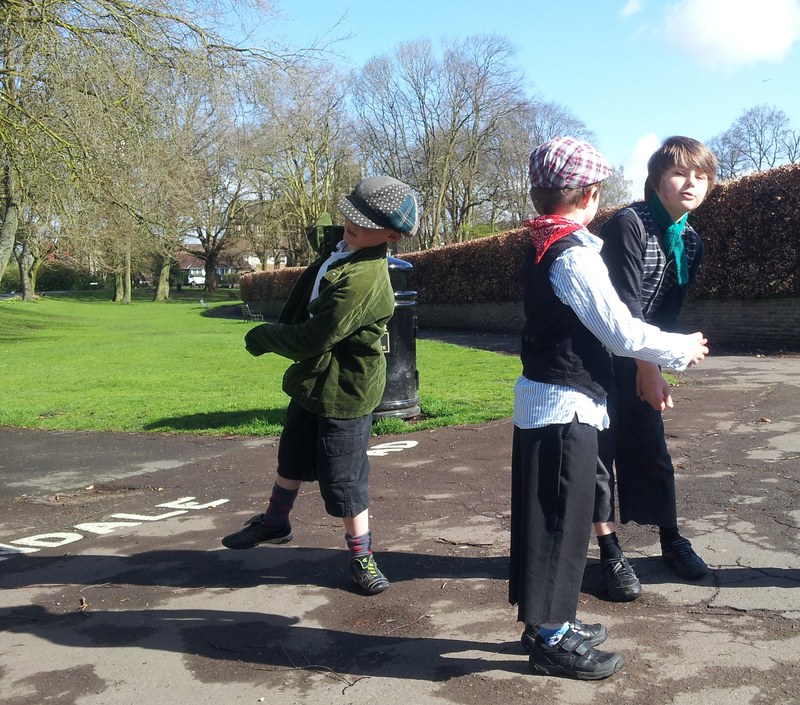 With funding from Heritage Lottery, Bristol City Council and Historic England, Local Learning have worked with a number of primary and secondary schools, colleges and the wider community on a variety of long term projects. Our activities covered the area’s 1000 year history, ranging from Year 3 students’ graphic novel, piecing together the story of one of the monks buried with a jet amulet at St James’ Priory to City of Bristol Art and Design students’ architectural drawings of Avon House North that bridges Stokes Croft like a concrete gate to the city.